The Great White Brotherhood is a spiritual ‘fraternity’ of Ascended Beings, including Lord Sanat Kumara, long since dedicated to the eventual Salvation of Mankind and the establishment of Divine Law again in this Third-dimensional reality.According to Elizabeth Van Buren, the Brotherhood once maintained (earthly) headquarters hidden in a remote valley near a sacred lake in old Tibet, until relatively recently, when, possibly due to the surmised threat of Communist China, they withdrew, allegedly through subterranean tunnels to an alternative earthly location in Peru, where they are still reported as having an earth base (circa 1985). These authors believe that Lord Sanat Kumara is the founder of the Great White Brotherhood, composed of Masters of the Ancient Wisdom (called in the Ascended Master Teachings Ascended Masters) and volunteers from other worlds who have joined together to advance spiritual evolution on Earth. “The following is a true story about a dark period in the history of the planet. 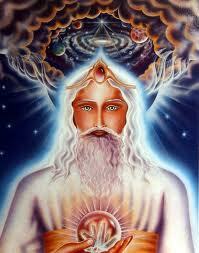 It is about an Ascended Master named Sanat Kumara and 144,000 lightbearers. Sanat Kumara, also known as the Ancient of Days, is the Hierarch of Venus. Long ago, around the time of the caveman, Sanat Kumara came to the earth to keep the flame of life (the threefold flame) for everyone on the planet. This was during the earth’s darkest days when the consciousness of the people had fallen to an all time low and no one honored God or the inner flame of the heart. It was such a dark time that a council of the Cosmic Hierarchy convened to discuss what could be done. Sanat Kumara convinced the council to let him come saying he would keep the flame of the heart on behalf of the people until at least some started doing it for themselves. He was granted this request and prepared to go into exile when 144,000 lightbearers from Venus volunteered to come and support him in the mission. A special envoy went ahead to build the retreat of Shamballa on an island in the Gobi Sea. Today we know this area as the Gobi Desert. Sanat Kumara placed a focus of the inner flame (threefold flame) on the altar where it remained in the physical for many centuries. Although Sanat Kumara resided in this retreat he did not embody in the physical and remained in his higher body of light. In subsequent lifetimes he did embody. What this master did was truly beautiful and demonstrates the love of an Ascended Master of Light for all of us. He anchored a filigree ray of light from his heart to each heart on the planet and continuously nourished it plus assisted everyone to be quickened by the consciousness of the Christ. After a period of time people began to respond and finally some of them started raising their consciousness and developing their inner flame. This allowed Sanat Kumara to return home to Venus. Many of the 144,000 lightbearers who were part of the original mandala are still here today. Some have returned home and others got sidetracked or entangled in karma. Today, we have the opportunity to once again pick up where we left off on the path of initiation with the masters. To assist us they have provided the teachings and the tools we need to successfully make the journey home. If you feel a tug on your memory, you might just be one of them! If you care to, there is a donation button of Karen’s web site that will enable you to assist us in the expenses of this project. Use the Donate Additional Reading Fee to make a contribution in any amount. All donations are tax deductible as Karen’s work is under the What If It Really Works? 501(c)(3) umbrella.